If your lighting is seriously lacking, try this easy DIY to trick the eye—and make any shadowy space feel larger, brighter, and easier to navigate. 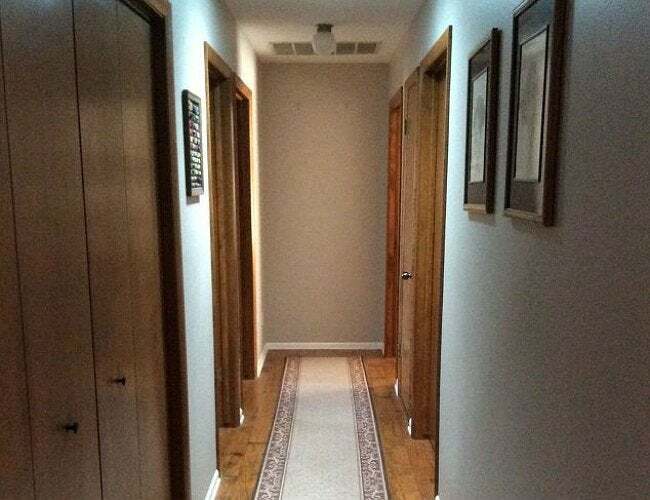 When it comes to lighting, there are probably plenty of places in your home with room for improvement—basements, stairwells, and hallways are just a few of the more serious offenders. More than an aesthetic problem, it’s also a safety concern: When you can’t see where you’re going, you’re more likely to slip and fall. 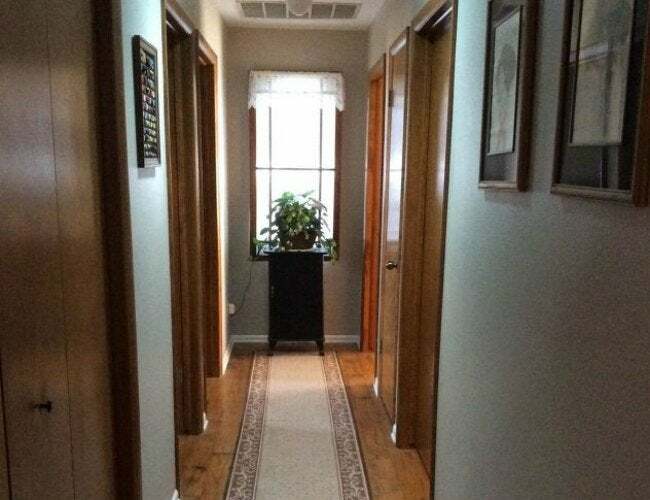 In the case of Hometalk contributor Connie Hatch‘s narrow, dimly lit hallway, a single overhead light was not nearly enough to illuminate the entire length of the space. Fixing the issue with structural and electrical improvements would be a costly undertaking, especially for a DIY-er on a budget. Unwilling to settle with a poorly lit passageway, she devised a DIY solution, crafting a realistic-looking faux window that doubled as an extra light fixture. After hunting around the house for something to use for her new fixture, she decided on a cast-off storm door that was tall enough to pass as an old double-hung window and could conceal any alterations behind its wooden frame. 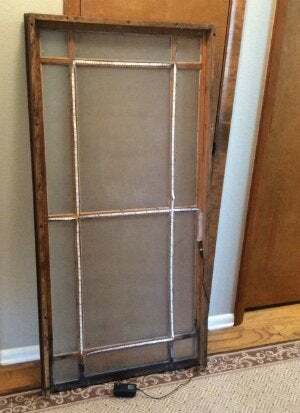 Starting with a can of Rust-Oleum Frosted Glass spray paint, she flipped the door over and coated the back of the glass panels with a translucent finish to hide the bare wall where the new window would be mounted. Next, she pressed multiple adhesive-backed LED strips onto the back of the wooden framing—smartly set to a timer, so that her window appears lit only during daylight hours—and mounted the whole contraption to two small L-brackets on the wall, about a foot from the ceiling. While LED strips come in a rainbow of colors, she opted for white—the closest match to the natural glow of sunlight. And so far, she has all of her visitors fooled. “Everyone that sees it thinks it’s a real window,” she writes. We want to keep the secret, but it’s too good not to share! Considering the project’s low cost, added safety, and ease of installation, it’s the brightest way to bring your home out of the dark ages.